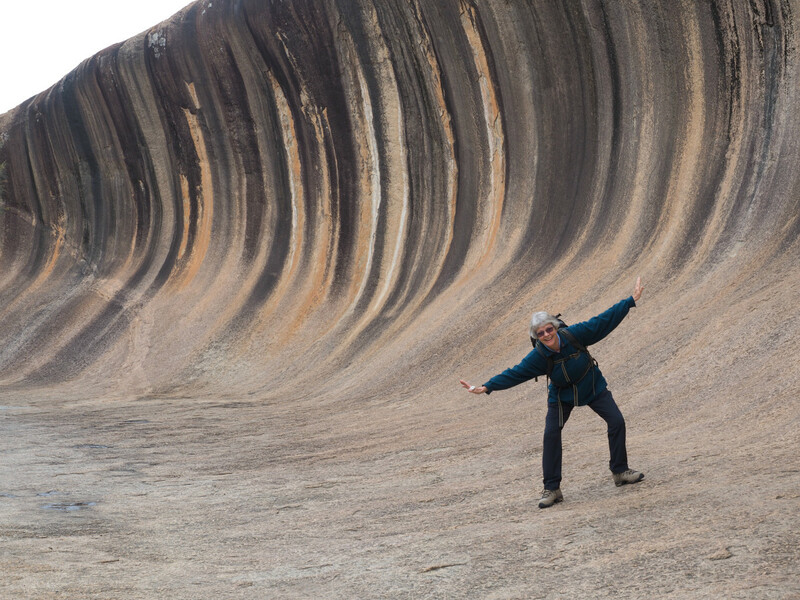 Over six wonderful days we’ll visit some of Western Australia’s most astounding scenic treasures. 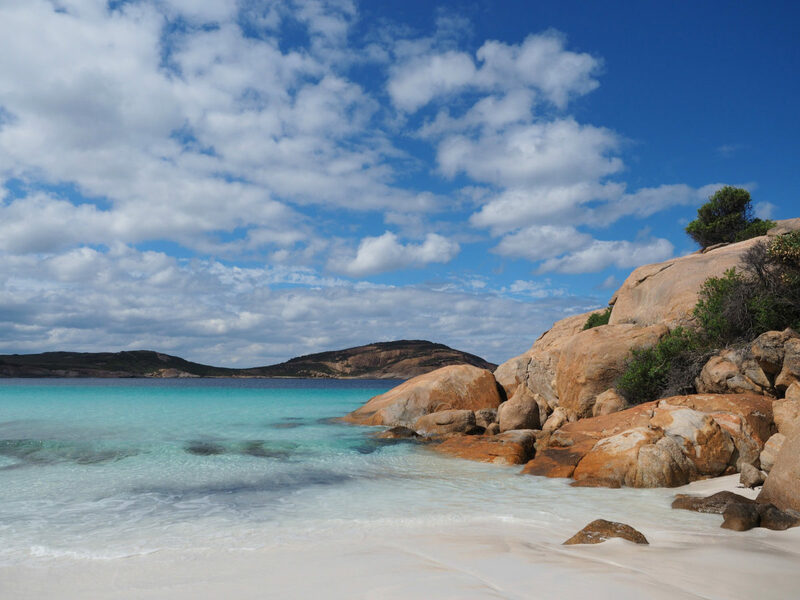 Bold granite headlands, quartzite peaks, white sand beaches and the most beautiful turquoise water you’ve ever seen. This is the ‘down south’ that so few of us get to, but everyone should. 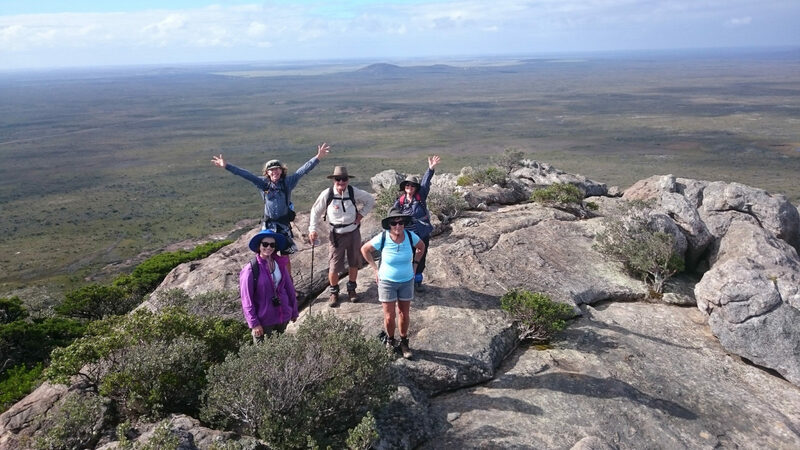 Cape Le Grand National Park past Esperance in the east, and Fitzgerald River National Park boast some of the most spectacular coastline on the planet, as well as interesting flora and good opportunities to see wildlife. 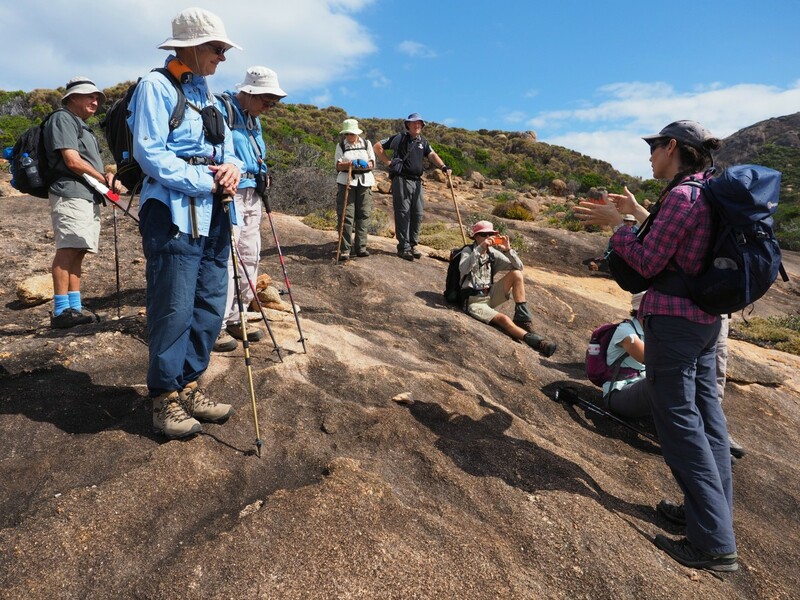 This tour has a focus on walking, with walks of various lengths, in remote and wild areas. Each evening we will return to nearby accommodation, so there is no need to carry heavy packs or sleep rough. If you would like to see photos of our Cape le Grand & Fitzgerald River National Park tour, visit our flickr page. 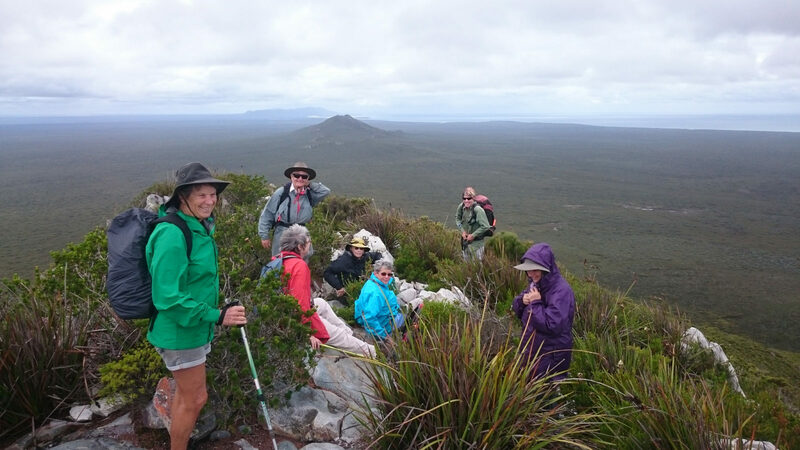 Walk the beautiful Cape Le Grand Coastal Trail, the Fitzgerald National Park Hakea Trail and more. Incredible white sand beaches, turquoise water, remote wilderness and the best scenery in the south west of Western Australia awaits. The tour starts in Esperance and finishes in Perth. There are daily flights to Esperance from Perth, and we are happy to arrange your flights for you, as well as organise a pick up from the airport. 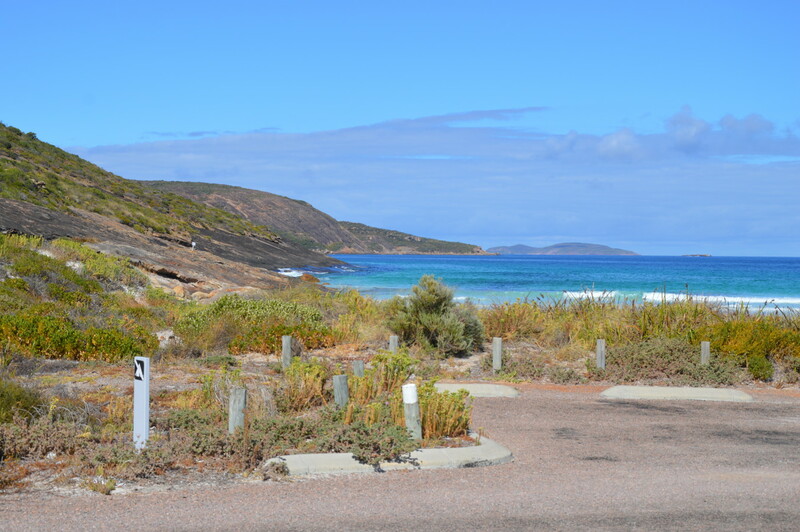 The tour starts in Esperance. For 26 February – 4 March 2019 – Please arrive on 26 February and the 4 – 10 November 2019 – Please arrive on 4 November 2019. There are daily flights from Perth so talk to us about organising your flight. We will pick you up from the airport and get you settled in. 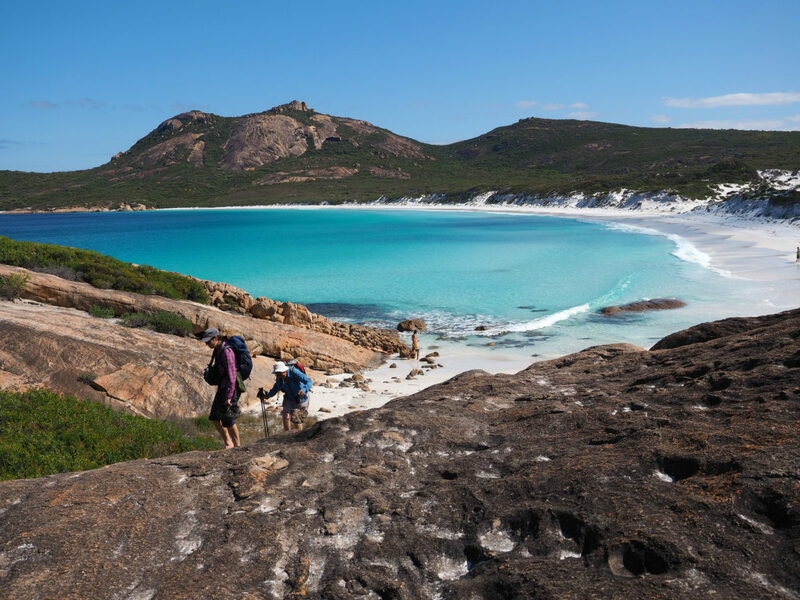 If you want to book your own flights, the 2:15pm departure from Perth to arrive in Esperance at 3:50pm is a popular flight time as it means you will have time to explore the area and settle in. We can do the beautiful coastal drive along as well as take some time to explore this small country town. If you’re arriving earlier in the day (8:15am-9:50am flight) or are in Esperance a few days early to explore the area; taking a scenic flight over to see the bubblegum pink Lake Hillier is a treat! Click here to book your spot. 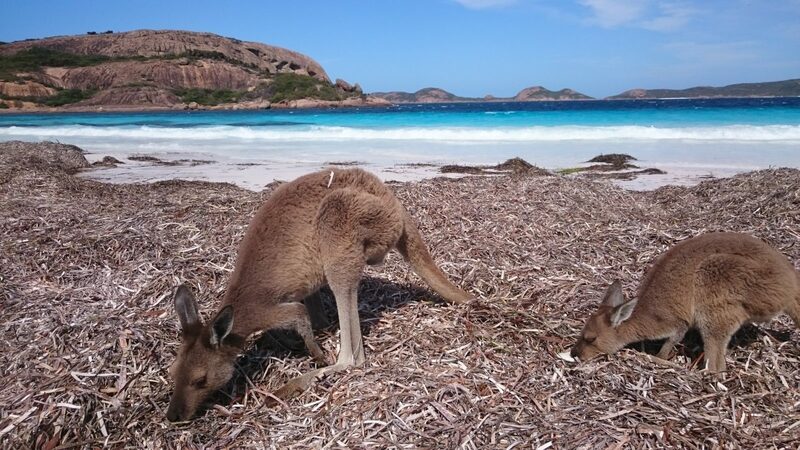 45 minutes from Esperance is Cape Le Grand National Park. Here you’ll find some of best beaches on the planet, and the Le Grand Coastal Trail is the best place from which to appreciate them. We will complete part of the coastal trail today, and part when we come back tomorrow. The coastal trail has some short but challenging hills – both up and down – but the views are absolutely worth the effort. We have some unfinished business at Cape Le Grand. Today we’ll complete another spectacular section of the coastal trail and conquer the formidable Frenchman’s Peak. Frenchman’s Peak is very steep; but, taken one step at a time, it’s certainly achievable. And what a way to finish our Cape Le Grand experience! If the views and the sense of accomplishment don’t put a smile on your face, nothing will. 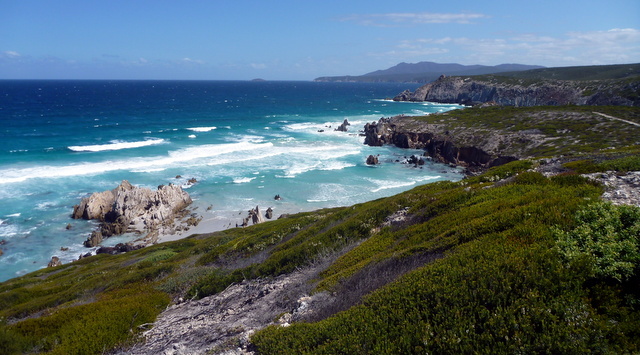 It’s about 200 km to drive to Hopetoun, the eastern gateway to the Fitzgerald River National Park. After lunch we’ll head out to East Mount Barren. 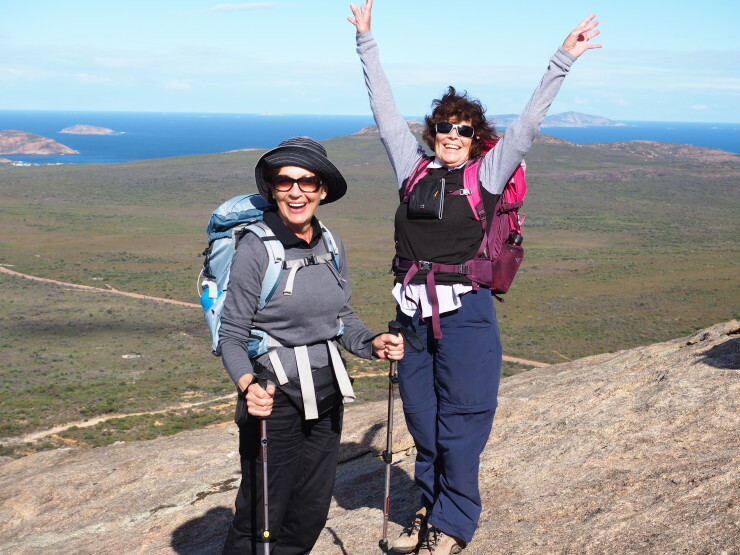 It’s a great 3 km return walk to the summit. There’s a bit of shale to negotiate and a bit of a boulder scramble to get right to the summit, but there are plenty of magic views and some nice spots to stop and take in the serenity along the way. We’ll stay the next three nights in the centrally located Hopetoun Chalets, spread between several 2 bedroom chalets, where we will share meals, and several motel rooms. 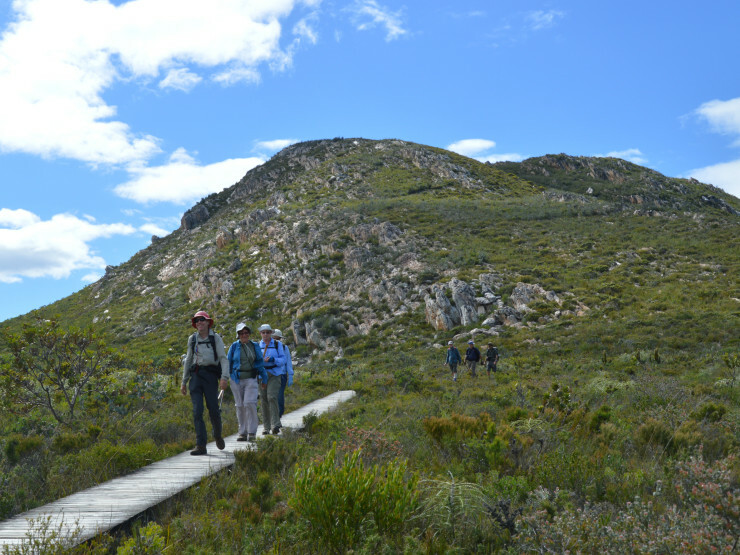 We plan to walk about 15 km of the Hakea Trail today. 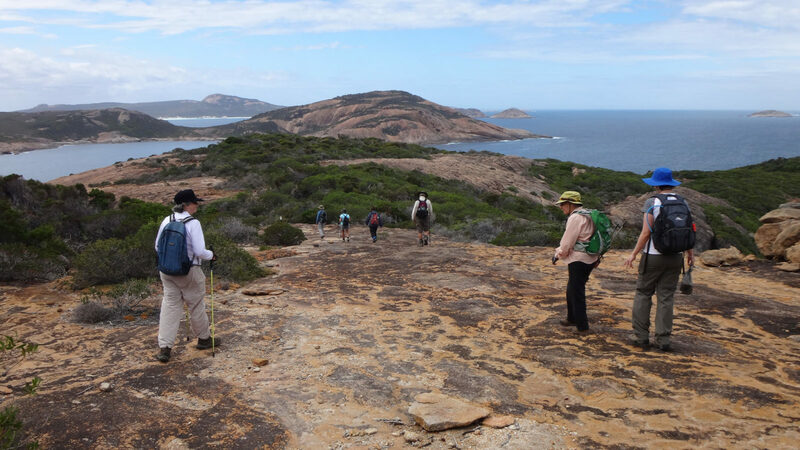 The Hakea Trail is an absolutely tremendous coastal walk. The gradients are mostly gentle, the views are uplifting, the plants are beautifully grotesque, and the rocks – they’re incredible! When we return to Hopetoun in the late afternoon you might enjoy a coffee in town, a stroll on the beach or a rest before dinner. 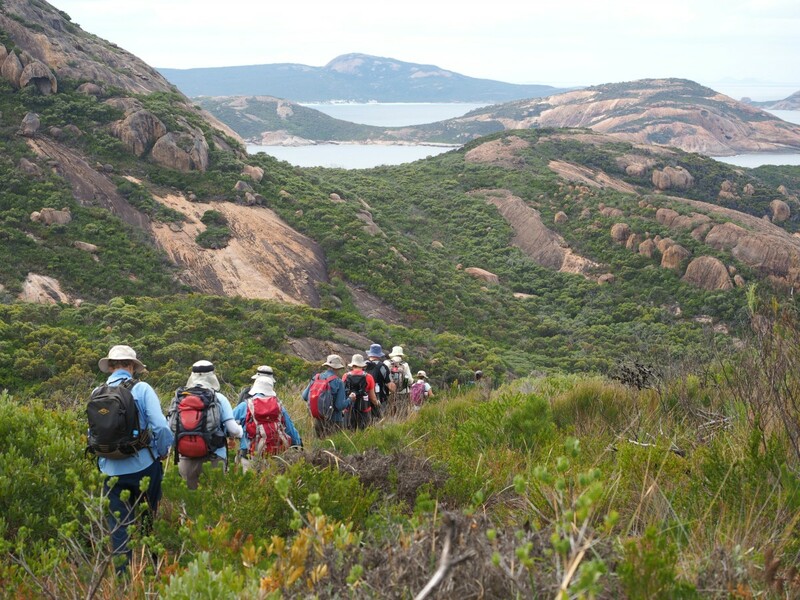 This morning we will take a 4wd out to the most remote area of the park and then walk back to Hamerley inlet. You will truly feel removed from the world, as we are sure to have this spectacular coast all to ourselves. 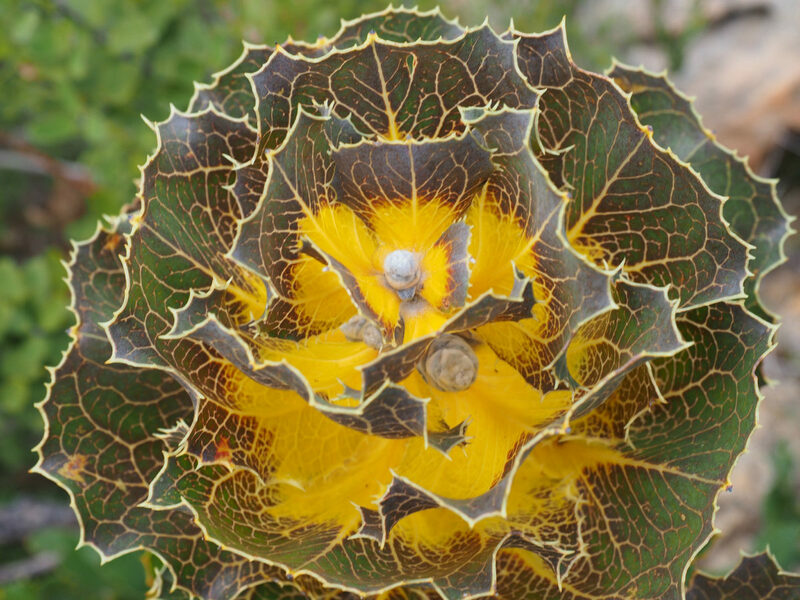 Look out for the unusual and colourful royal hakea which are common in this part of the park. We’ll leave early from Hopetoun for the drive back to Perth. We’ll stop at Wave Rock for morning tea for a chance to explore this strange and wonderful geological feature. After lunch we will hit the road again, looking to be back in Perth at around 5pm. 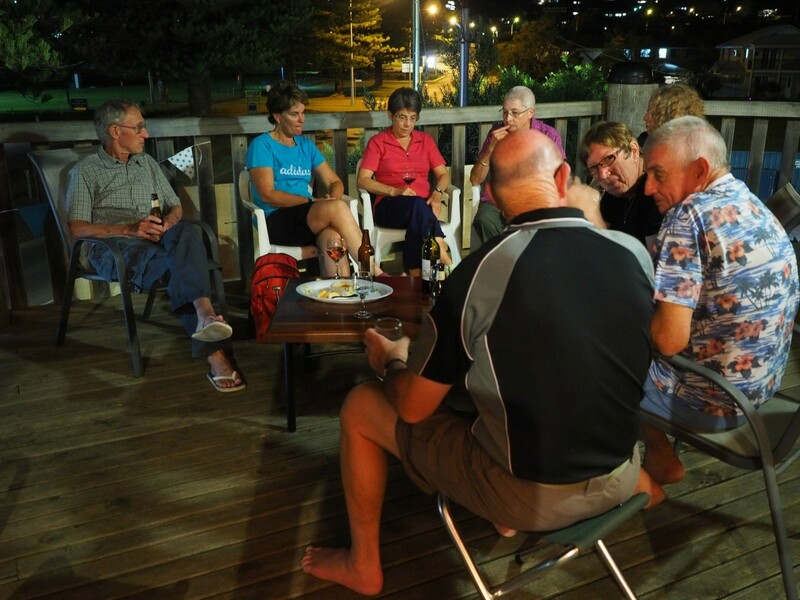 Our accommodation in Esperance is at Island view Apartments on the Esplanade in Esperance. It’s clean, comfortable, has a great gathering area for meals, and it’s only a short walk to town. We will stay in 2 and 3 bedroom chalets, where guests can mingle as well as have their own space. For three nights we’ll stay in the centrally located Hopetoun Motel, spread between a 2 bedroom chalet, where we will share meals, and several motel rooms. Accommodation is twin share. A limited number of single supplements are available. We will send you a full list of recommended clothing and equipment when you book. Breakfast comprises cereal, fruit, yoghurt, toast and spreads with juice, tea and coffee. Each day we provide morning tea whilst out on a walk and fruit is available for snacks. Lunch is self-made from supplied breads, salads and meats. Depending on the day, we will carry our lunch with us or a guide will deliver a picnic lunch to the track. Enjoy pre-dinner nibbles with fellow guests each evening while your guides prepare a delicious two course meal for dinner. Please let us know of any dietary requirements before you book. We can happily adapt our menu to accommodate most dietary needs. Assistance is appreciated with clearing away and washing up. Your out of pocket expenses for this trip include additional snacks and alcohol. Our comfortable, air conditioned Mercedes-Benz Sprinter or Toyota Commuter mini bus will be our chariot for the duration of the tour. Seats are not allocated but it’s nice to move around and give everyone a go at a window/aisle seat. 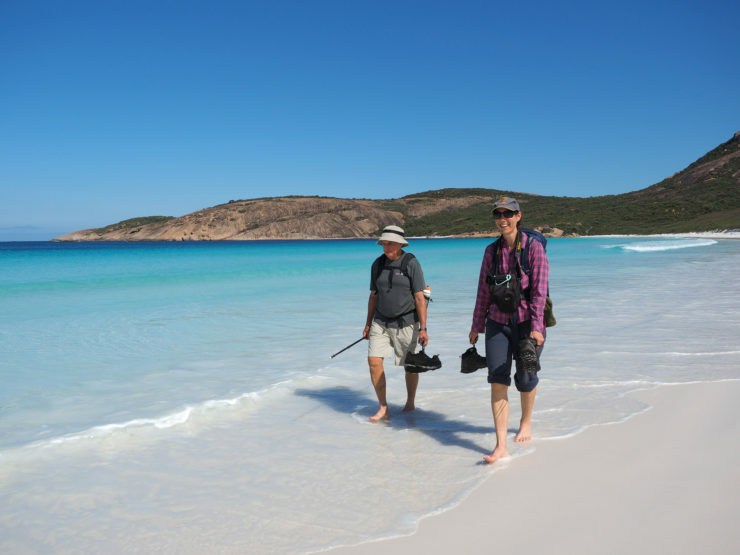 There are daily flights from Perth to Esperance with REX airlines. We are happy to book your flight for you, as well as pick you up from the airport. 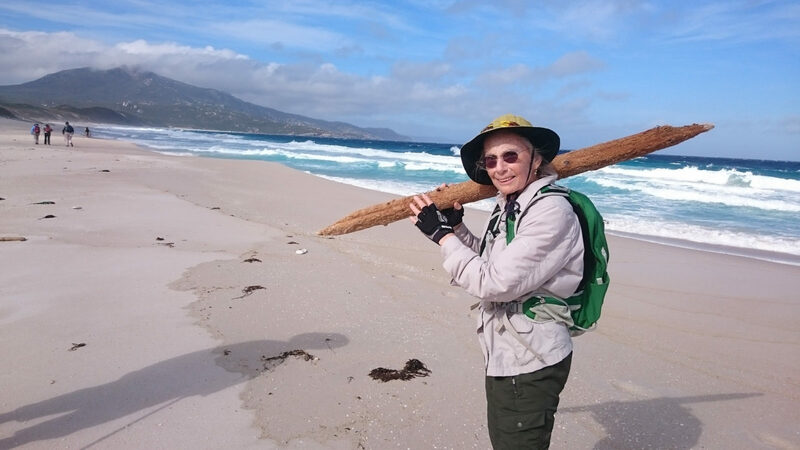 How hard are the walks on the Cape Le Grand and Fitzgerald tour? The walks on the Cape Le Grand tour are varied. The most challenging walk in terms of terrain, is the short but steep Frenchman’s peak walk. All of the other walks are both moderate in terms of distance and terrain. Enjoy a cuppa with a slice of cake for morning tea and a fresh healthy lunch, surrounded by nature. Every day is finished off by a delicious and nutritious dinner together with the group. 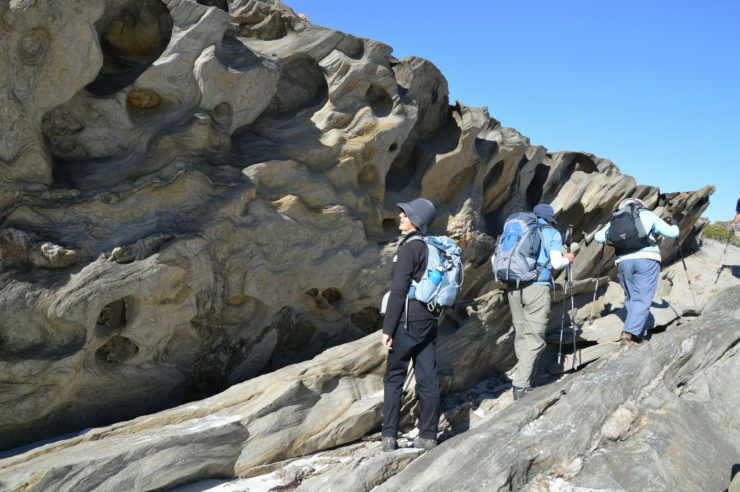 On the South Coast Explorer trip we hiked in some of the most beautiful National Parks in Australia with simply stunning coastline and beach views. This is a must for your bucket list. And there are no crowds there either!